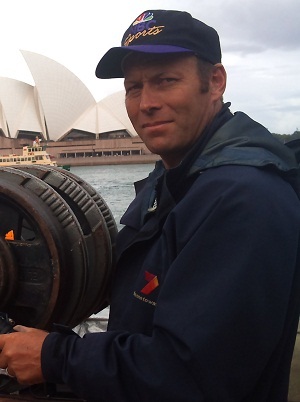 Bruce Murray has worked in the TV and Film industry for over 20 years. 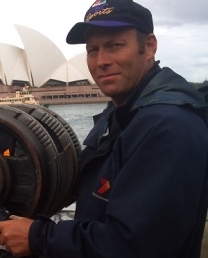 His most recent credits include long stints on Home and Away and All Saints at Channel 7. He has also worked on Productions at Channel 10: Breakers, Good News Week, Above The Law, EStreet and various small productions at Channel 9. Whilst working as Key Grip on All Saints for 7 years, Bruce decided to purchase and use much of his own grip and camera equipment. He now has an extensive array of equipment and vehicles: including a 10 tonne truck with Jimmy Jibs, a variety of Dollies and Track, Mo Kit, Steadicam etc (see extensive Equipment List). After All Saints was completed, Bruce was immediately contracted by long running TV show, Home and Away, and one of his trucks and gear is currently still there. With Bruce’s experience and variety of grip gear, he was able to help the show with its new directional look. It has an international audience of over 40 million per night and it is a very fast moving production. Leading the team of grips, he has worked on a vast variety of locations, from beach, underwater, on vehicles and boats, on top of buildings, and cliff faces. Bruce has a professional and efficient but fun sense of work ethic. The job is always completed well and in good spirits. Bruce is highly professional and very fast! And he is a delight to work with. Nothing is ever a problem and he Always has a smile on his face a and is whistling a tune. A delight.